Rats: Dangerous Vermin or Useful Members of Society? Monday is World Rat Day. DW takes a look at why the rodents are so unpopular, where the widespread disgust for them originated and the moments when rats have done some good. Rats rank somewhere between spiders and snakes on many people’s heebie-jeebies lists. April 4, known to aficionados as World Rat Day since 2002, is a good occasion to correct the record on the rodent. The Hindu god Ganesh is often portrayed as riding a rat. The rodent is the elephant god’s steed through the universe. Some attribute this partnership to the fact that Ganesh is the remover of obstacles in Hinduism – and rats can gnaw their way through pretty much anything, including solid wood, lead and even steel. The Year of the Rat, next celebrated in 2020, is the first and most prominent in the Chinese zodiac cycle. Rats symbolize imagination, curiosity and resourcefulness. Elsewhere, however, rats aren’t often credited with such positive attributes. 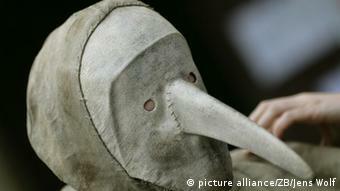 From 1346 till 1353, the plague killed an estimated 75 million to 200 million people in Europe. Humans blamed Rattus rattus, the black rat, but if one looks back to the origins of the deathly disease, that popular accusation may be false. The plague is thought to have made its way to Crimea from Central Asia, where it originated in great gerbils. Whenever gerbil numbers crashed following changes in climate, their fleas would hop on camels traveling down the Silk Road. That’s how wave after wave of infected fleas made their way to European rats, according to a 2015 study in the journal Proceedings of the National Academy of Sciences. The fleas then jumped from rats to humans, killing up to 60 percent of the population of medieval Europe. In big cities all over the world, rats aren’t much more popular today than they were in plague-ridden Europe. In 2014, a Columbia University student may have greatly relieved his fellow New Yorkers when he debunked the myth that there were 8 million rats in the city – one for every human resident. He estimated that the correct number was roughly 2 million. Last fall, the Internet delighted in the humanlike antics of a New York City subway rat. A comedian recorded video of one of the small rodents dragging a pizza slice down the steps of a subway stop – and the viral phenomenon “pizza rat” was born. Like most city residents, rats also have jobs to do. One is serving as the subject of medical experiments owing to their physiological, neurological and hormonal similarities with humans, their fellow mammals. By studying how rats’ bodies accept or reject organs, scientists have helped doctors successfully perform lifesaving transplants in humans. Of course, rats are generally killed in the process of being experimented on. Opponents of animal testing reject the method as unnecessary and cruel. They say that artificially induced medical conditions in animals such as lab rats in no way compare to the actual illnesses in humans. Important factors such as stress or environmental influences cannot be taken into consideration with animals in a lab. “The results of studies using animals are therefore misleading and irrelevant,” veterinarian Corina Gericke wrote in a statement for the German group Doctors Against Animal Experiments. The African giant pouched rats trained by the Belgian nonprofit Apopo don’t have to die to do their jobs: They sniff out landmines. Apopo trains the cat-sized rodents, who have an excellent sense of smell and are light enough not to set off the mines, to find explosives in Tanzania, Mozambique, Angola and Cambodia. 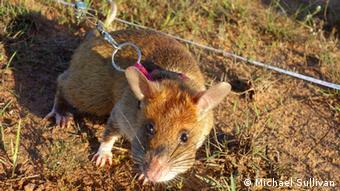 The rats Apopo works with do not only smell the TNT in landmines: They can also sniff out tuberculosis in samples. That has helped doctors in Mozambique identify a large number of patients in a short time and begin treating them right away. Hollywood has certainly played its part in turning impressionable children against rats. Just think of the rat that almost killed the baby in Disney’s “Lady and the Tramp” or evil Professor Ratigan, the murderous villain in the Sherlock Holmes-inspired “The Great Mouse Detective.” The dichotomy used to be pretty clear: mice are good guys and rats are bad. In 2007, Pixar took a big step to rectify this. The studio released “Ratatouille,” about a rat who wants to become a chef. 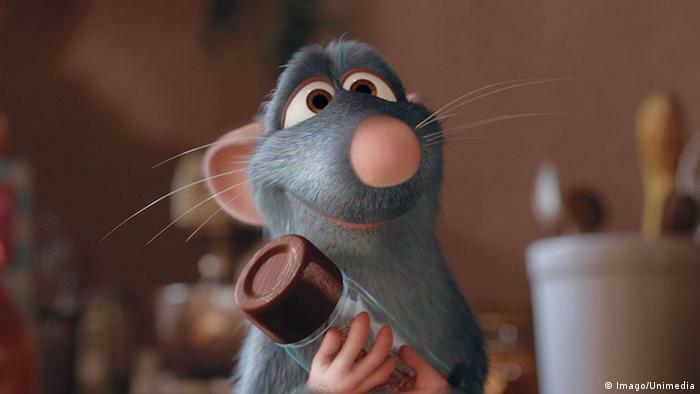 Remy is smart, likable and, important for a children’s movie, cute – all rare in popular portrayals of rats. “Ratatouille” won the Academy Award for best animated picture. That’s the sort of recognition the organizers of World Rat Day would like to see the real rodents receive every day.